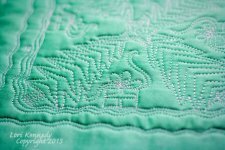 "It’s time for another FREE free motion quilt tutorial! Today we are stitching The Chevron. 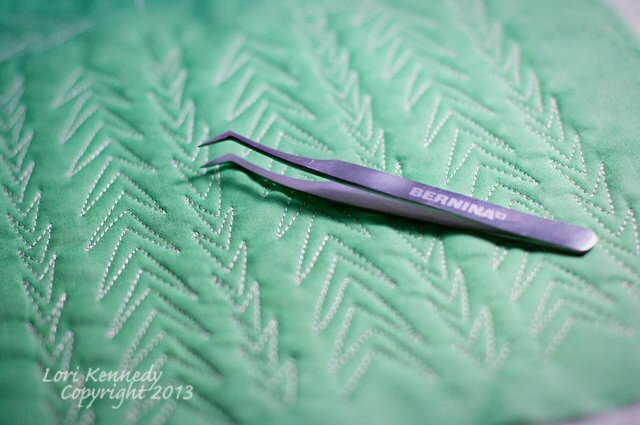 The Chevron is a beginner free motion quilt motif, and whether you are stitching on a domestic sewing machine like I do ( I stitch on a Bernina 820) or on a long arm machine, you will find this lovely pattern fast and fun. When stitched in rows in looks like a herringbone pattern. Perhaps that is why I think of it as an autumn pattern??" 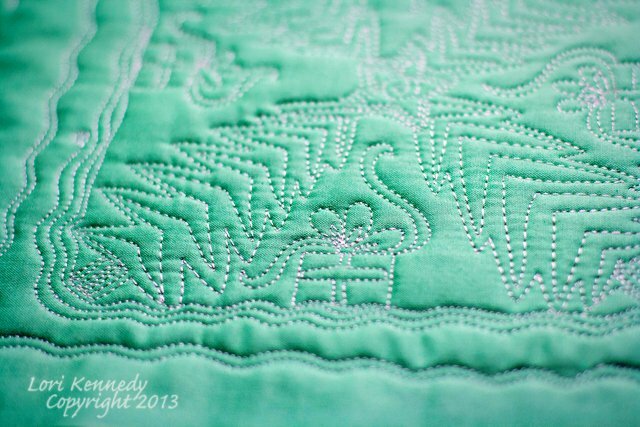 Check out the Mini Christmas Quilt Lori created using this technique!